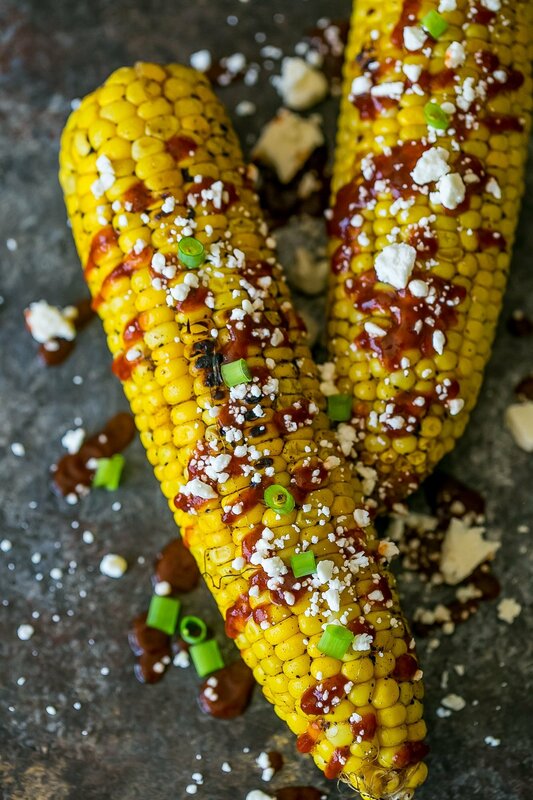 Sriracha Cheese Grilled Corn, a delicious, quick, and easy way to spice up regular old grilled corn on the cob! 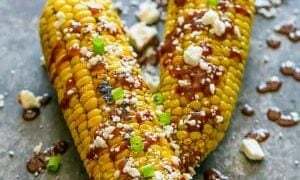 I love Mexican street-style corn. 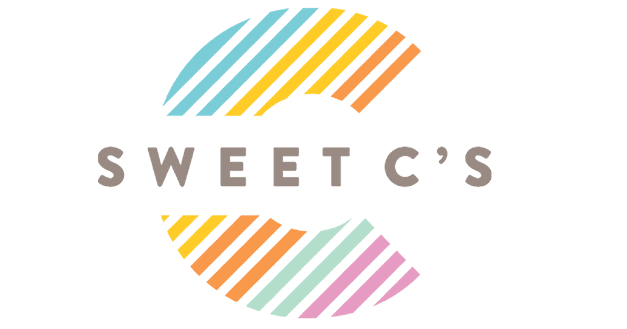 It’s salty, bursting with flavor, slightly sweet, and so fun to eat – the perfect summer side dish. 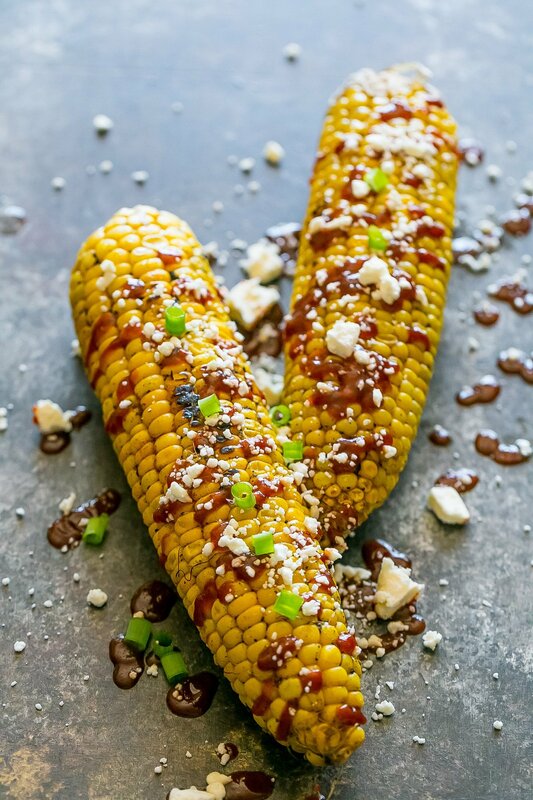 If you love corn on the cob, you need to try street-style grilled corn! It’s so easy and full of flavor – and makes the perfect side at a party! 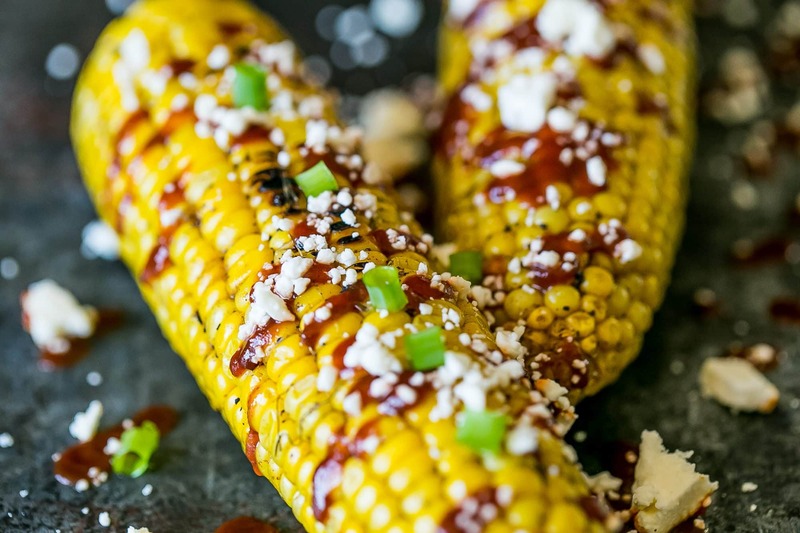 This corn on the cob has a ton of spicy flavor from Sriracha and cotija – which pair perfectly with the naturally sweet corn flavor, and compliment the nice smoky flavor you get from grilling the corn in their husks. 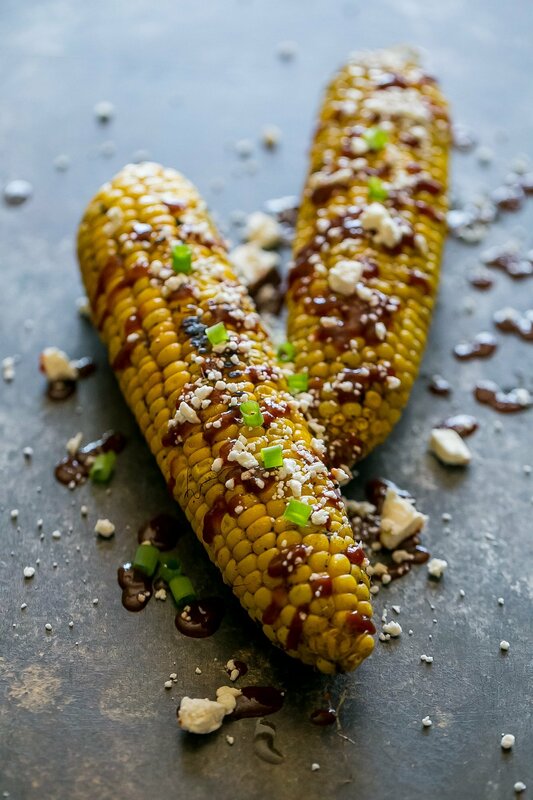 Depending on how spicy you like your corn, you can either drizzle the sriracha directly onto the corn (for a spicier kick) or mix it in with the garlic butter for a more subtle, smoky twist. 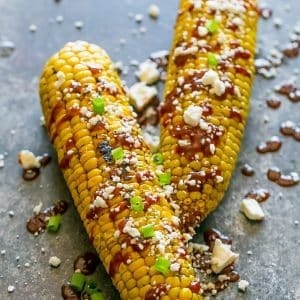 Sriracha Cheese Grilled Corn on the Cob Recipe - Spicy Cheese Street Corn, a delicious, quick, and easy way to spice up regular old grilled corn on the cob. 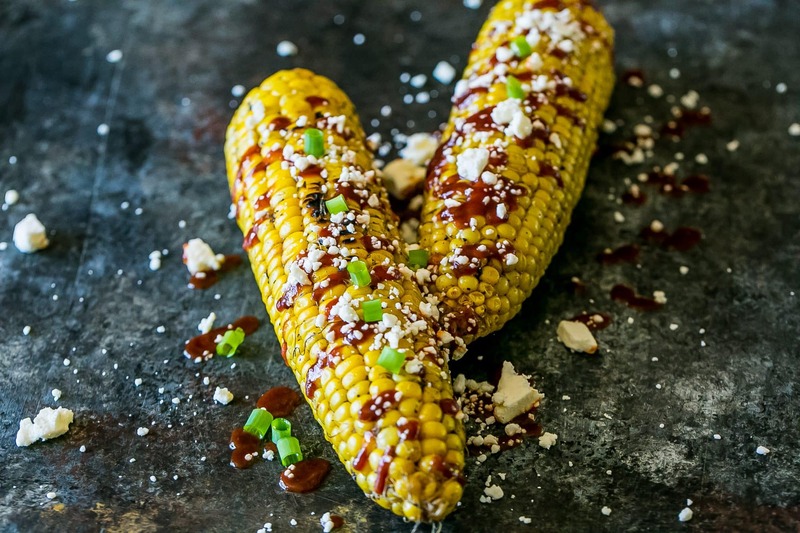 Bursting with grilled corn and spicy sriracha flavor and topped with creamy cotija cheese for a delicious spicy smoked corn on the cob that is a huge hit at summer parties and cookouts. Pull husks of corn down, without pulling them off, to expose silks. Remove silk strings from corn. Pull corn husks back up, and soak in water for 10 minutes. Add corn to grill, cook on high, turning every 5 minutes to grill each side equally and prevent burning. When corn is soft to the touch, remove from grill and remove husks. Mix butter and garlic powder in a bowl, then generously slather on corn (or mix sriracha with butter if you'd like it to be a bit more of a subtle flavor). Top with crumbled cotija, and squirts of sriracha (if you'd like a bolder flavor) .